A new digital-only series aims to get kids to read the classics by integrating them into modern adventure books. Booksurfers, a new adventure series created solely for the Amazon (NSDQ: AMZN) Kindle and aimed at 9- to 12-year-olds, follows a group of four children who are kidnapped and forced to jump “into” classic, public domain adventure stories like Treasure Island to steal famous fictional artefacts. Readers can jump between the Booksurfers story and the classic texts using a series of hyperlinks that connect corresponding points in the stories. Booksurfers is believed to be the first digital-only series for kids. The series is written by David Gatward and published by FourteenFiftyFour, an intellectual property development company that specializes in literary brands and is located in the UK. 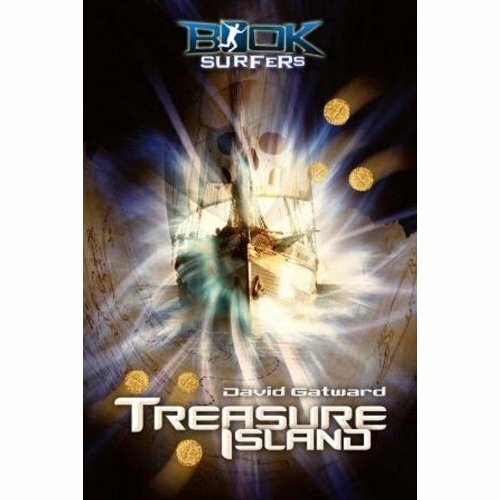 The first two books in the series, Booksurfers: Treasure Island and Booksurfers: The Wonderful Wizard of Oz are available now in the U.S. and UK Kindle stores and are $4.79 in the U.S.